Use while you lose weight to tighten the loosening skin~! Avoid needing surgery after your weight loss. I have personally lost over 45 lbs recently and have NO HANGING SKIN WHATSOEVER because I have used this all along. I have only used this for a couple weeks so it is too early to tell if it works. I hope so because it is pretty pricey. I use it on the front and back of my thighs. I work out almost everyday and this is my main problem areas so hopefully I will see a change soon. You don't have to use that much, and it goes on very easy and soaks in. I am using it under my chin, upper arms, stomach and my legs so i don't miss a spot,lol. I am still in the process of using it to see the finished look, but so far i can see a difference. I have one more bottle to use and I am taking it on my trip, because I am not going to be without it. Anita who creates her lotions and serums honestly cares for her customers, but treats them as friends, I have been one of them for a few years now, and will keep being a loyal customer, and there's a reason why her ratings are so high. Thank you! The photo she shows is REAL! Just use a drop after you get out of the shower. A little goes a long way. 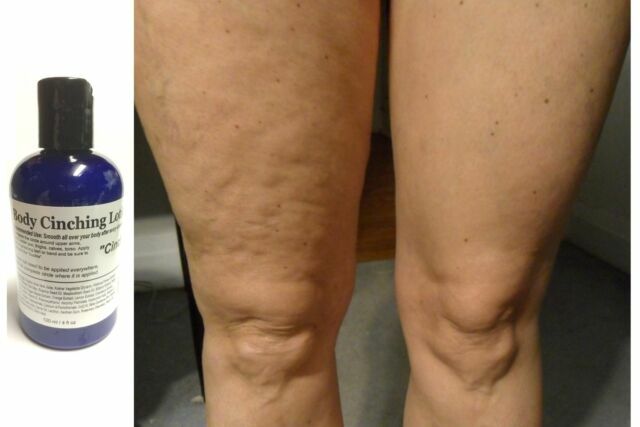 It tightens the skin on my legs and arms. I had given up and now, my skin looks YEARS younger!! TRY IT! !